Here's my personal year in review, in picture highlights. 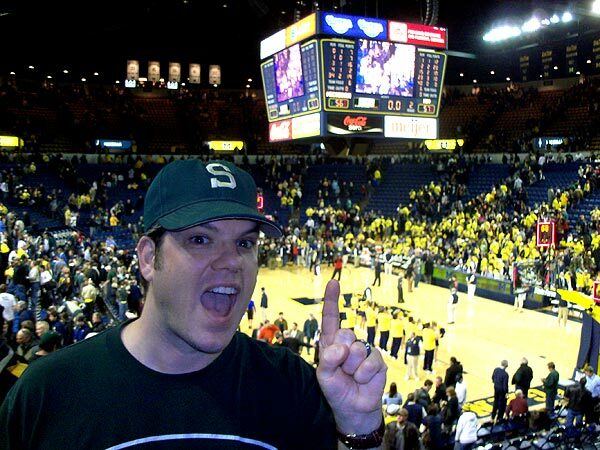 Celebrating victory at the MSU vs. U of M basketball game. Christa gives Ninja a kittyback ride. 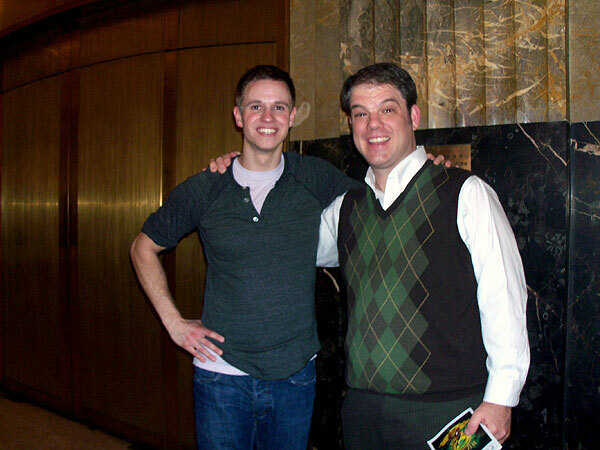 After seeing my old friend Beau starring as the Tin Man in the touring production of The Wizard of Oz. 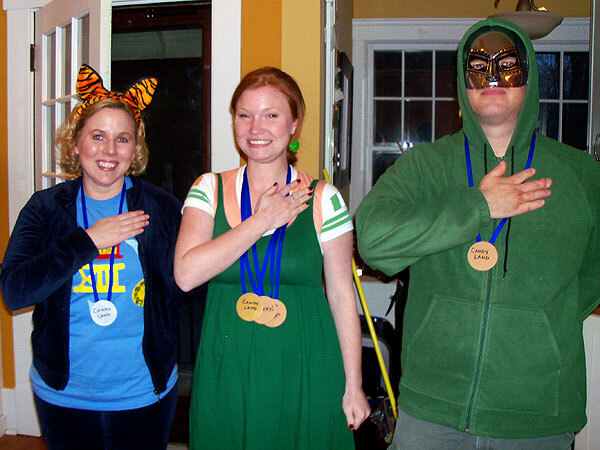 (represening Ireland), and I (representing Dr. Doom's Latveria) get Candyland medals at board game Olympics (aka Caroline's birthday party). 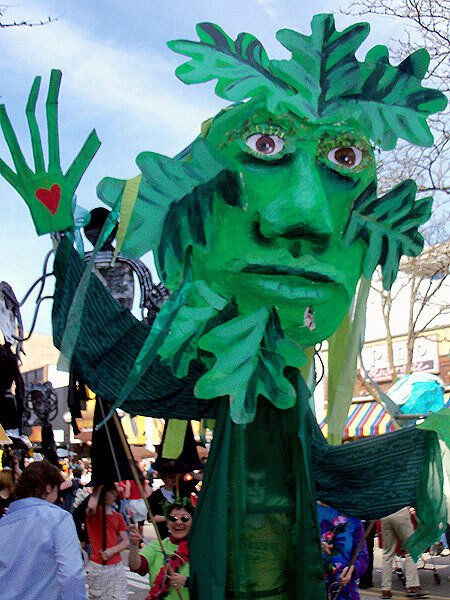 The Green Man, one of many walking monster puppets at Ann Arbor's Festifools. 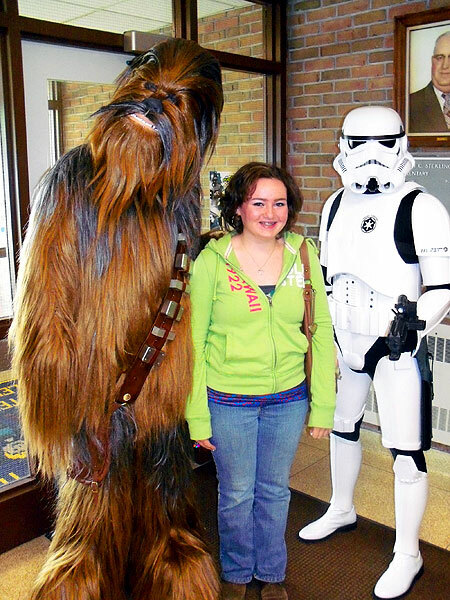 Madalyn hanging with Chewbacca and a stormtrooper at Airport elementary's Star Wars Day. 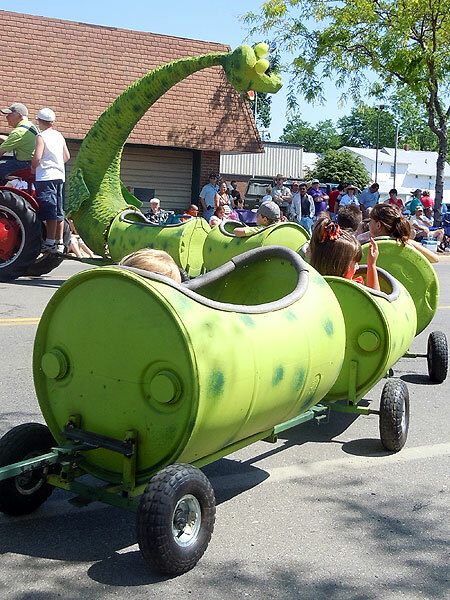 The Loch Ness Monster in the Alma Highland Festival parade. 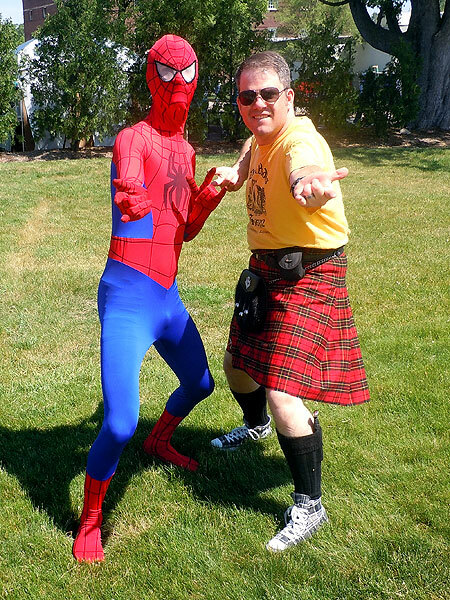 Is Spidey Scottish? We teamed up to save the festival. 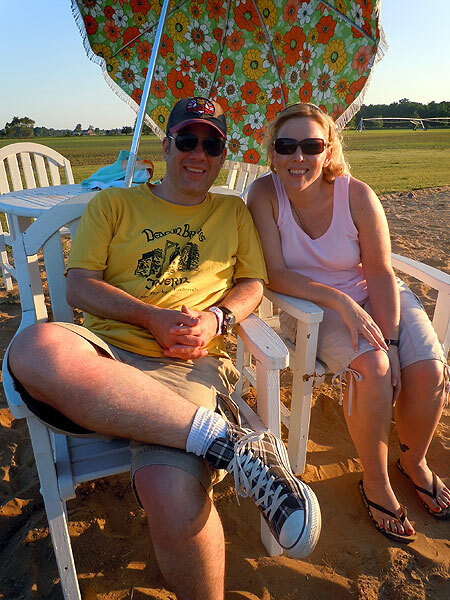 Christa and I enjoy the beach at Marshall's relative's pond. 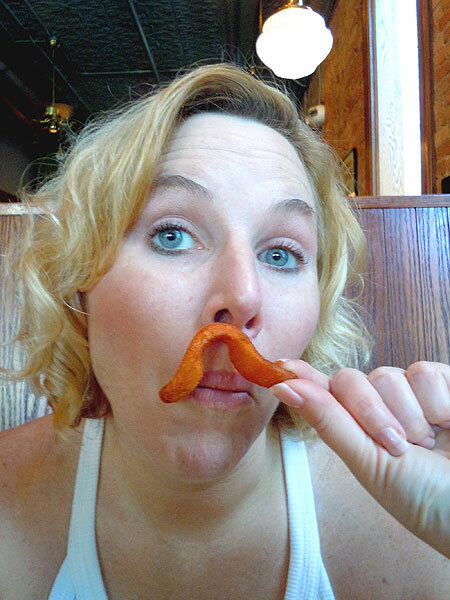 Christa models a sweet potato fry mustache at Arbor Brewing Company. Spidey again! 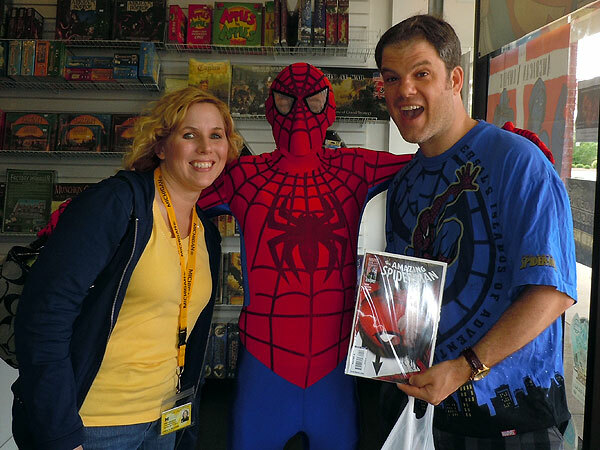 This time at Free Comic Book Day. 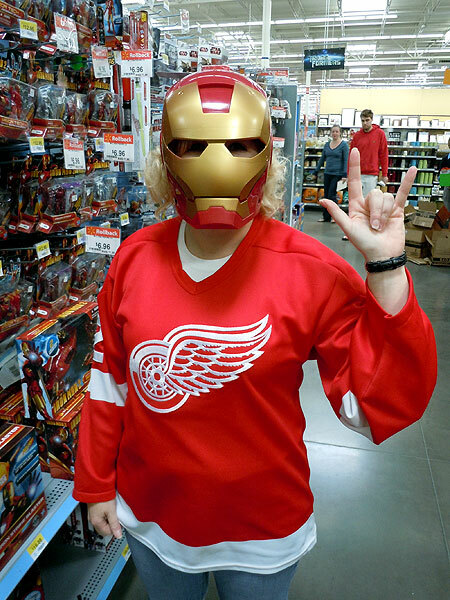 Christa as Lady Iron Wing. 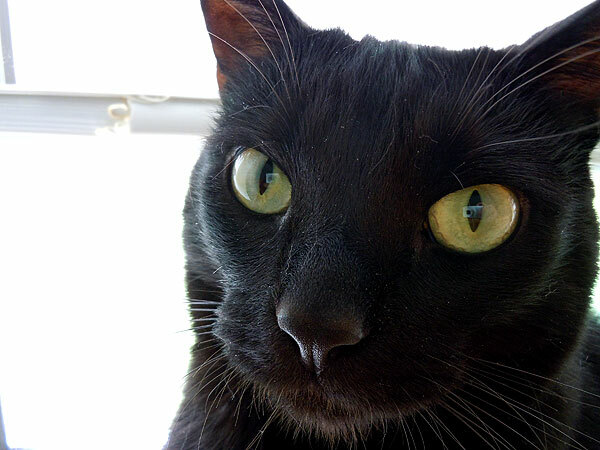 Ninja poses for my new camera. 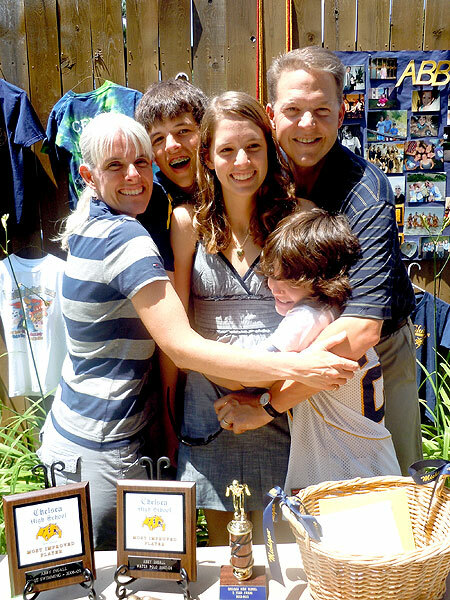 The Ingalls hug Abby at her graduation party. 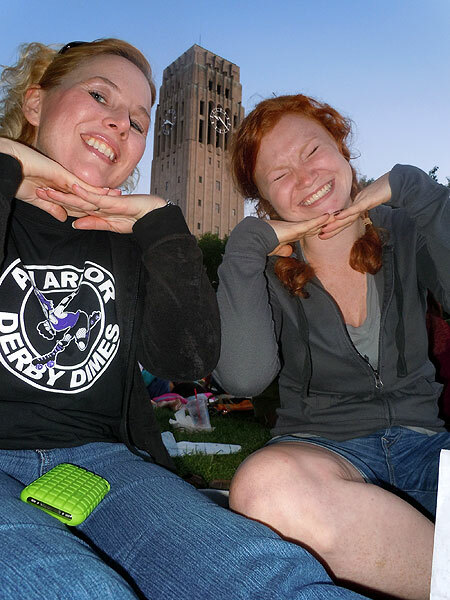 Christa and Thalia being silly at Top of the Park. 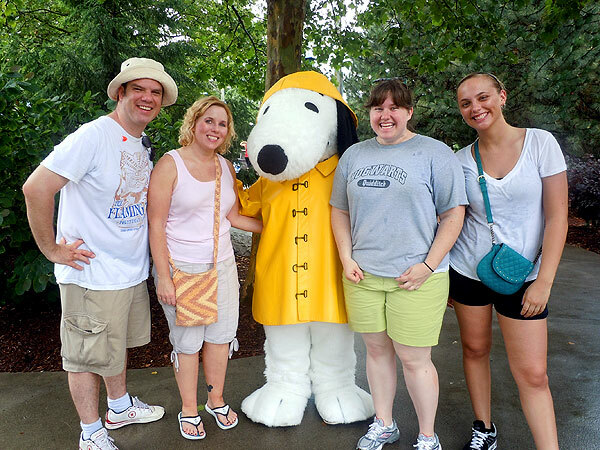 A rainy morning at Cedar Point, we meet Snoopy in his rain gear. 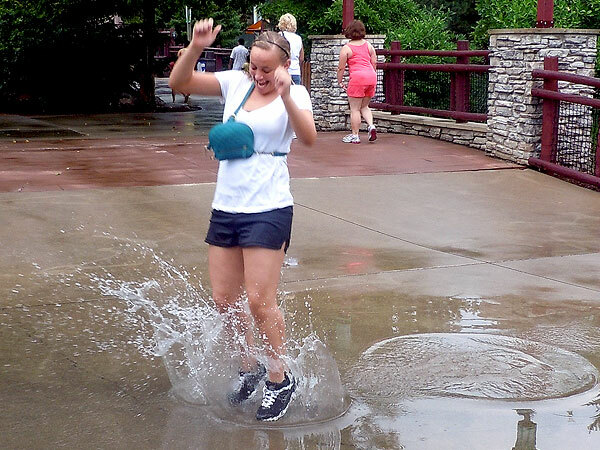 Amy splashes at Cedar Point, waiting for the rides to restart. 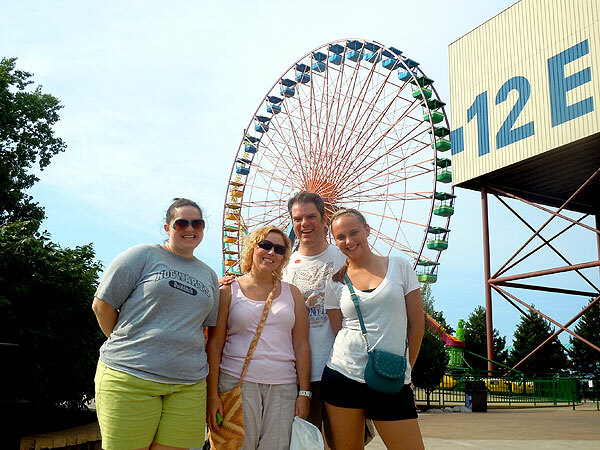 In front of the ferris wheel at Cedar Point. 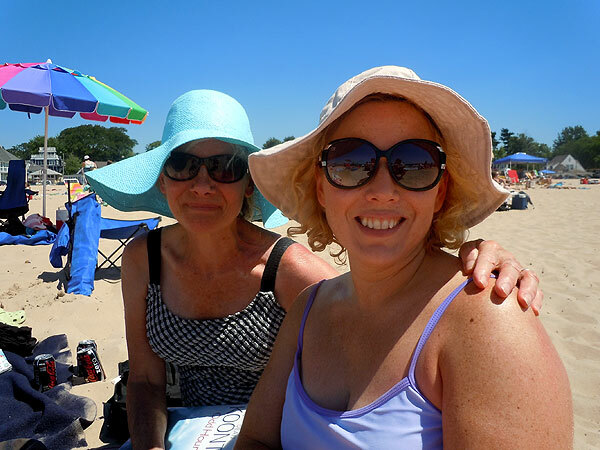 Mom and Christa model floppy hats at South Haven beach. 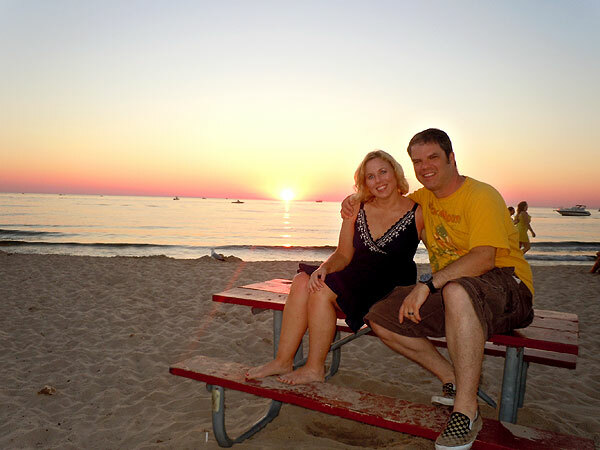 Christa and I enjoy the sunset on the beach. 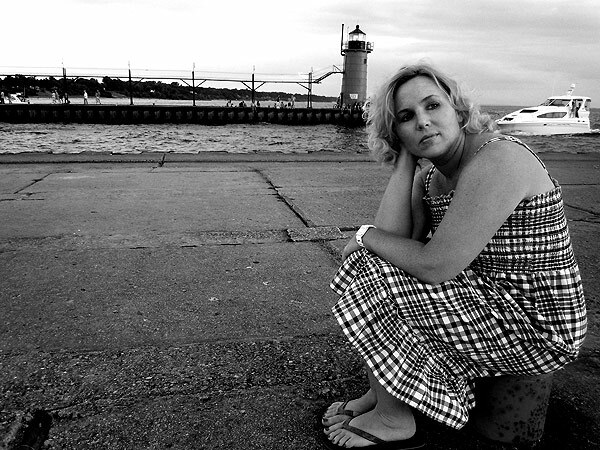 One of the many shots of Christa modeling in South Haven. 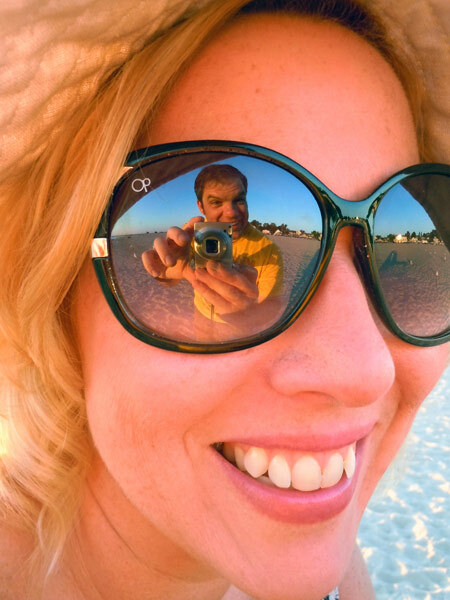 I notice myself in Christa's sunglasses. 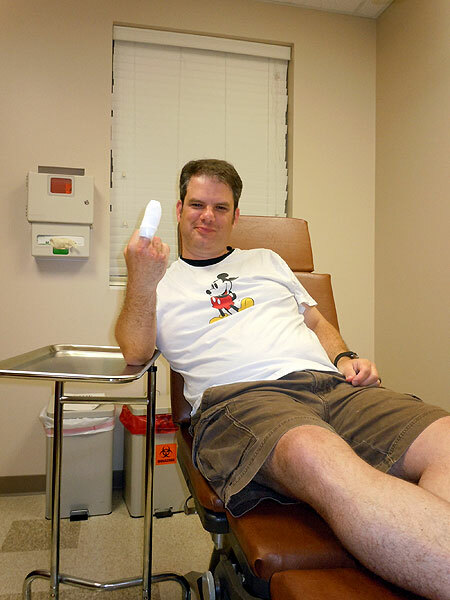 My finger stitched up after getting chomped by Ollie the dog. Ouch. 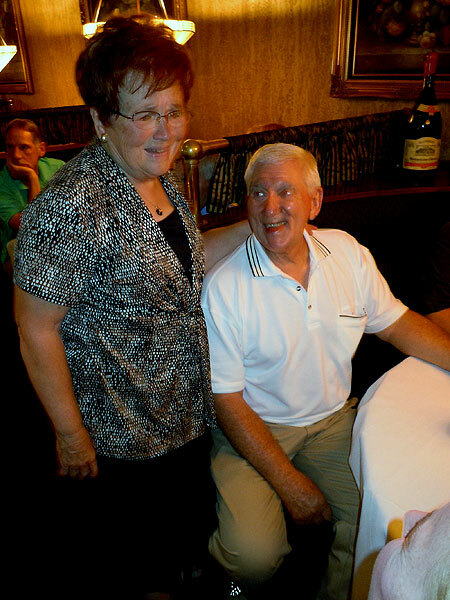 Mr. and Mrs. Weddle enjoying their 50th wedding anniversary party. 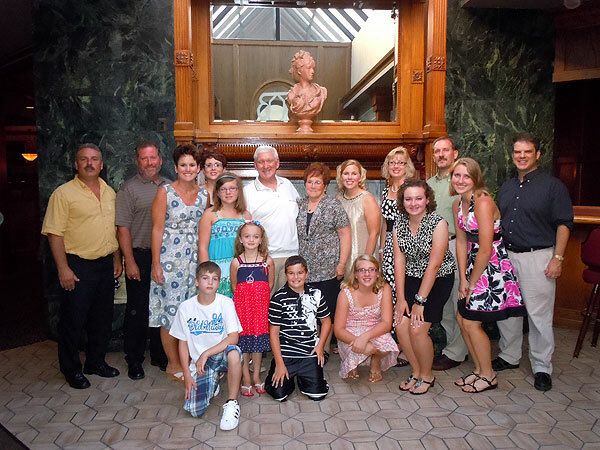 The extended Weddle family at the party. 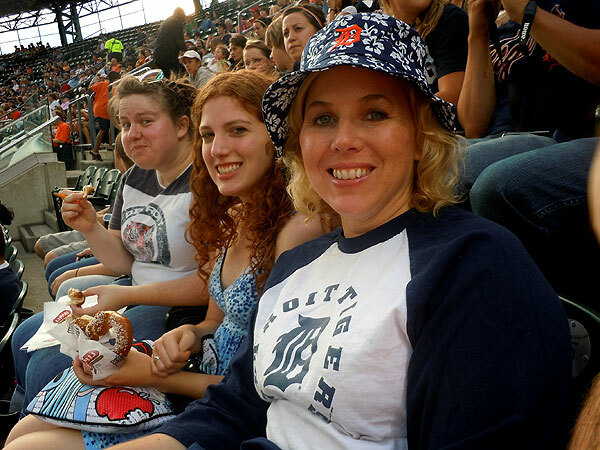 Caroline, Emily, Christa at floppy hat day at Comerica Park. 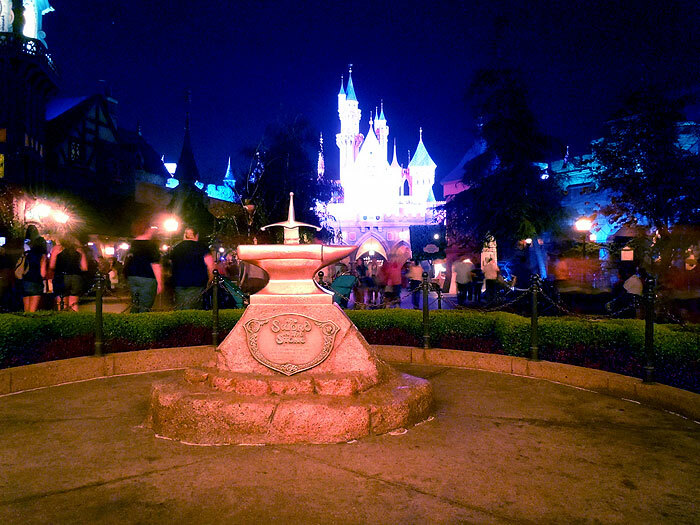 The Sword in the Stone and Sleeping Beauty Castle at Disneyland. 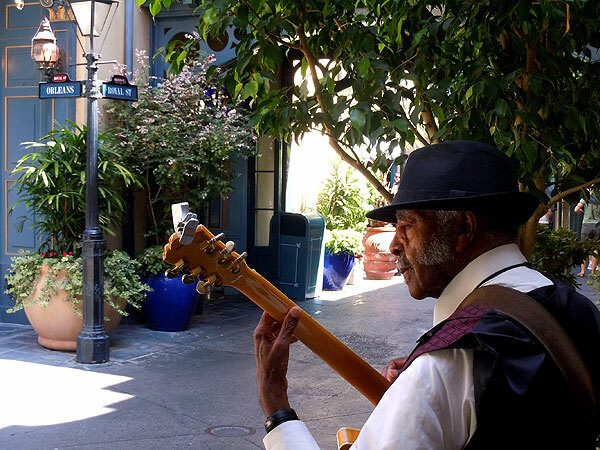 An old bluesman in New Orleans Square. 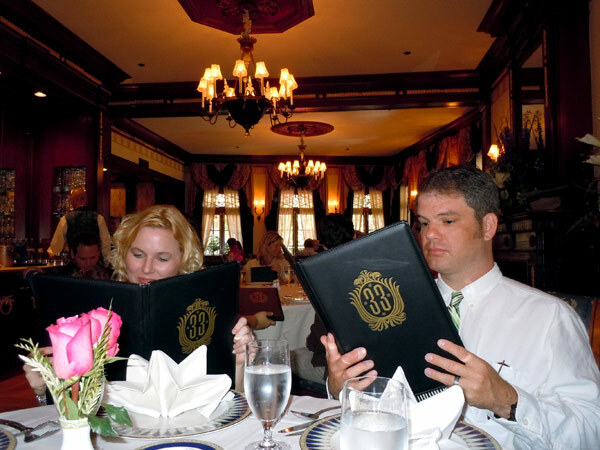 Christa and I peruse the menu in Disneyland's Club 33. 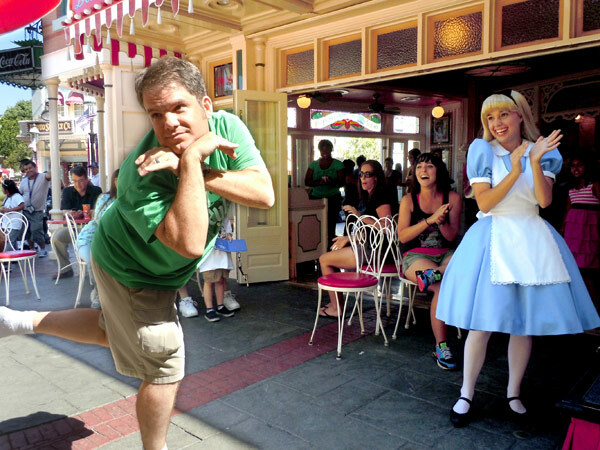 Performing for Alice during an epic game of musical chairs in Disneyland. 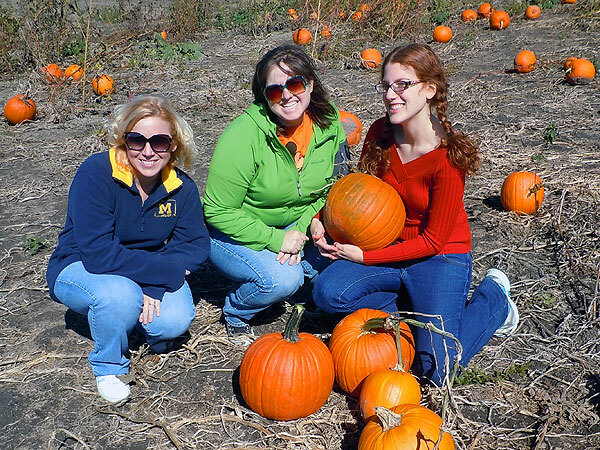 Caroline, Christa, and Emily pick out pumpkins. 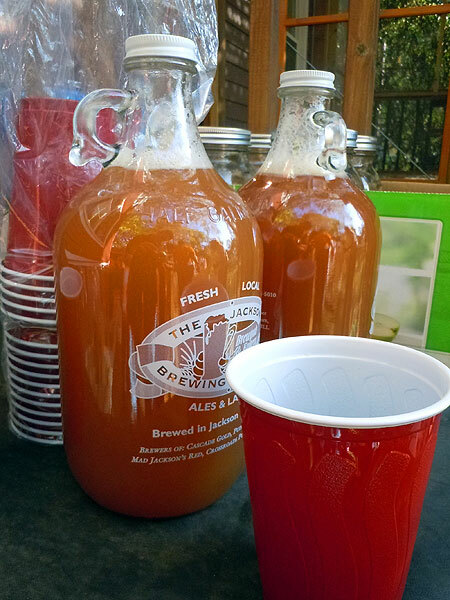 Homemade cider at the Meloche's. 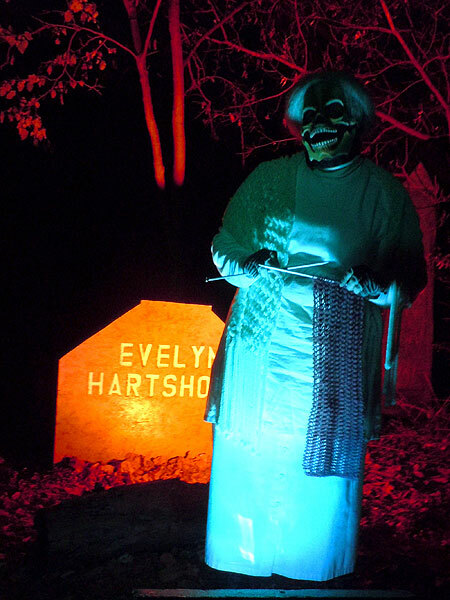 Haunted Trail: Grandma Skullface - GRANDMA SKULLFACE! 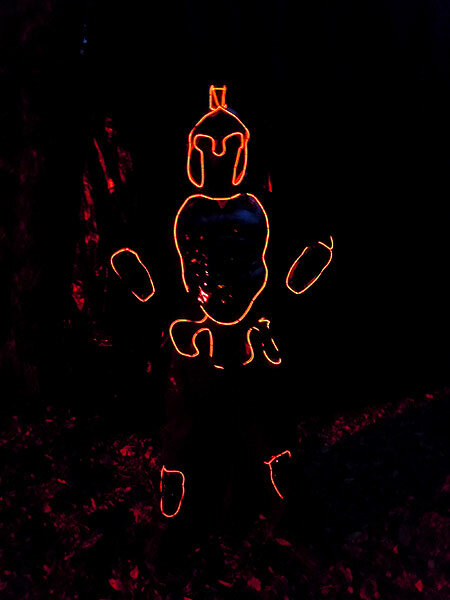 Haunted Trail: Me as Epiales. 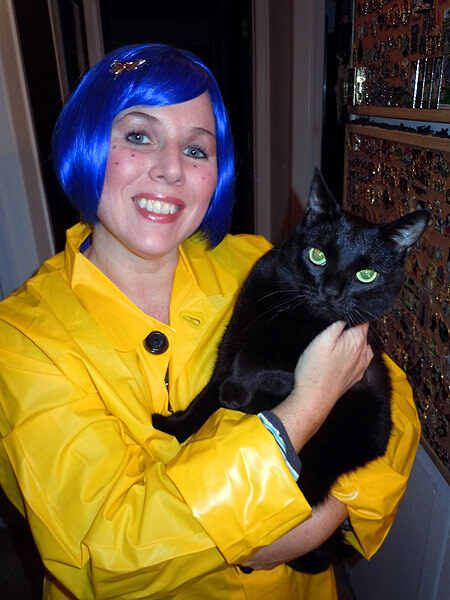 Christa as Coraline for Halloween (and Ninja as the black cat). 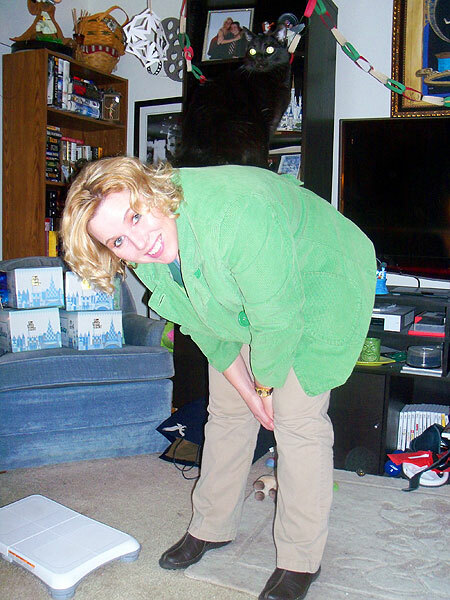 Me as Harold and the Purple Crayon visiting Greenfield Village's Hallowe'en. 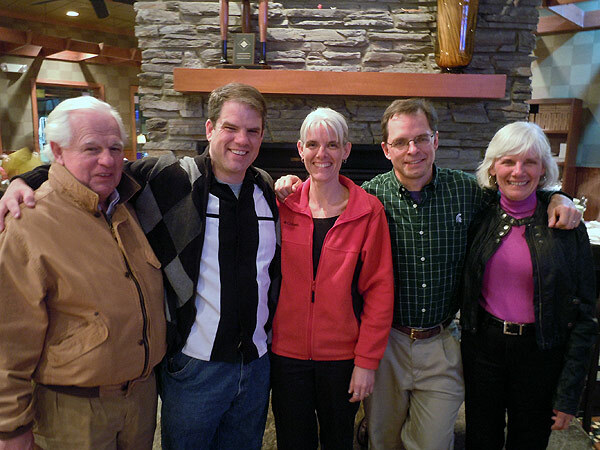 The Brockie Family reunites at Pizza House. 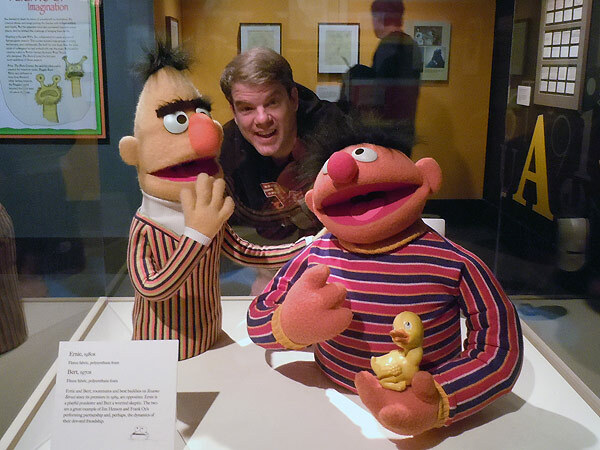 Visiting Chicago and seeing Ernie and Bert at the Jim Henson exhibit in the Museum of Science and Industry. 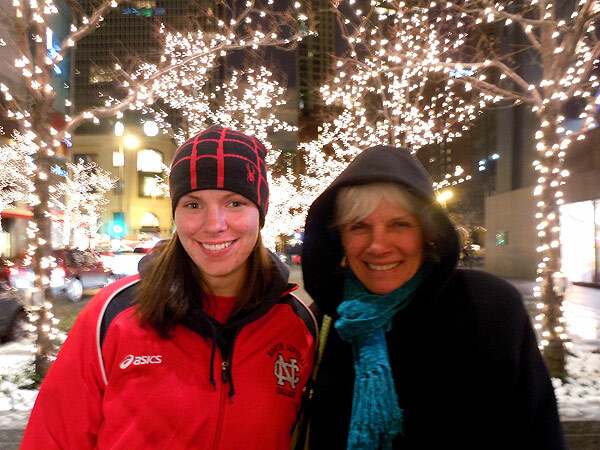 Maggie and Mom in downtown Chicago. 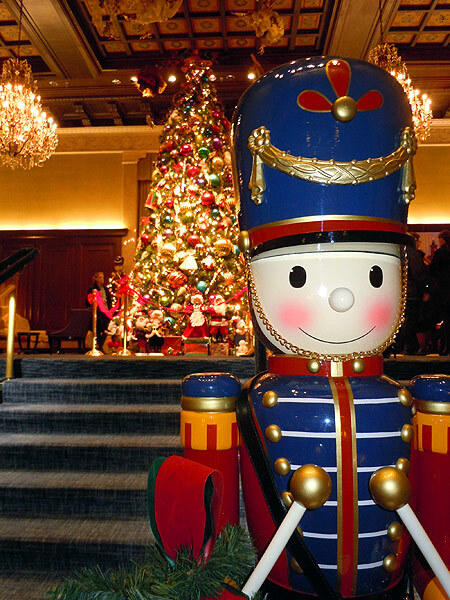 Christmas decorations at the Drake hotel. I love the stop-motion Christmas classic Rudolph the Red-Nosed reindeer. 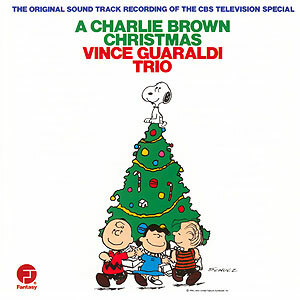 It's completely crazy with its bipolar Santa (it kills me every time when, after the elves mount a big song-and-dance number he responds with, "Well, it needs work. 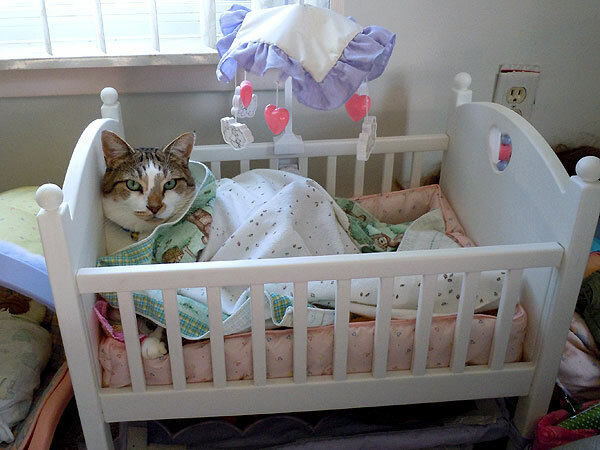 I have to go. "), Misfit Toys (polka-dot elephant, for a stuffed animal you really aren't that weird), and terrifying abominable snowman. 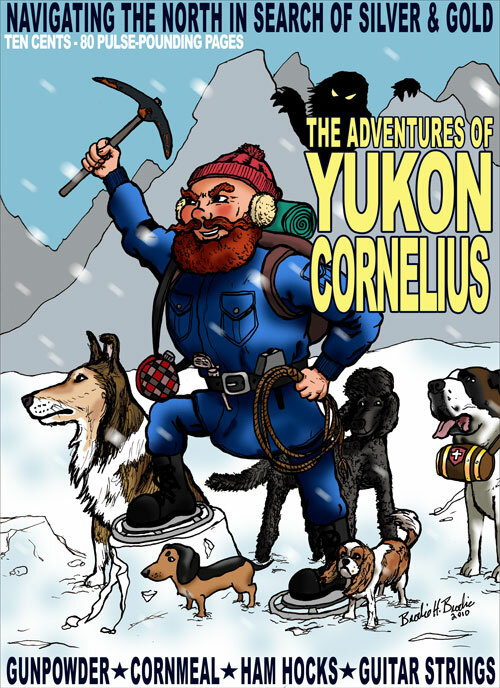 And then there's Yukon Cornelius, intrepid precious mineral-seeker and Bumble-wrangler, foraging the frozen north for fortune with his menagerie of unconventional sled dogs, sensitive palette, and overflowing enthusiasm. He meets an elf and a talking reindeer with an incandescent proboscis and thinks nothing of it. He wrestles a massive white yeti like it's all in a day's work. You know why? Because these things probably happen to him all the time. In that spirit, here's the cover of a non-existent pulp novel chronicling the further adventures of Christmas's most boisterous adventurer. Here's to you, Yukon Cornelius - Wahooooooooooo! I have a piece up on Cornered! today, it's a recreation of the corner box from the first few issues of the X-Men, back when Jack Kirby was the artists, the original team was still in high school, and Marvel was still trying to bill them as their weirdo superheroes. Click away and check it out. 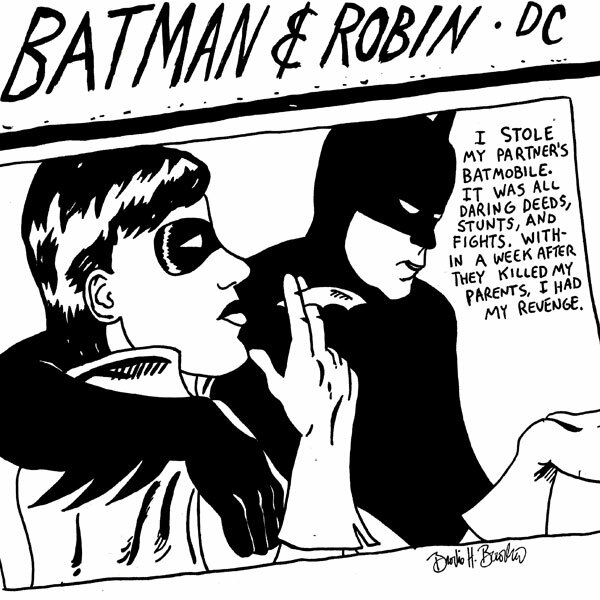 BATMAN AND ROCKIN': A series of album cover recreations with the Caped Crusader, the Boy Wonder, and their friends replacing the original album art. 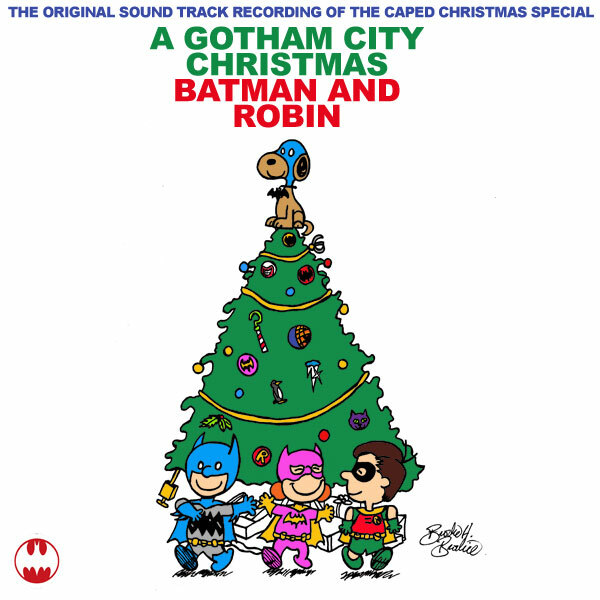 Album: "A Charlie Brown Christmas"
na na na na na na na BATMAN!" You know all my secrets too. 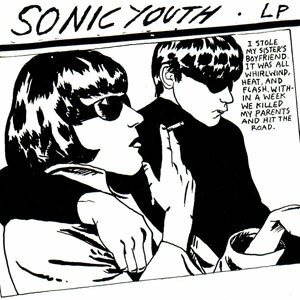 And rides my sidecar everywhere"
Interestingly, the cover that this cover is a cover version of is ALSO itself a cover version of a mildly famous photograph. 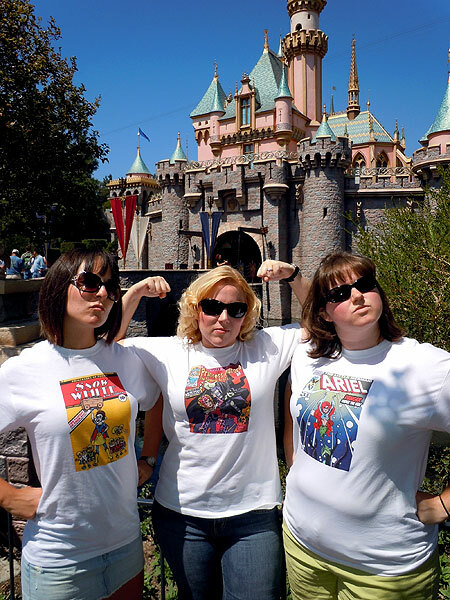 A crime-related photograph at that, detectives! 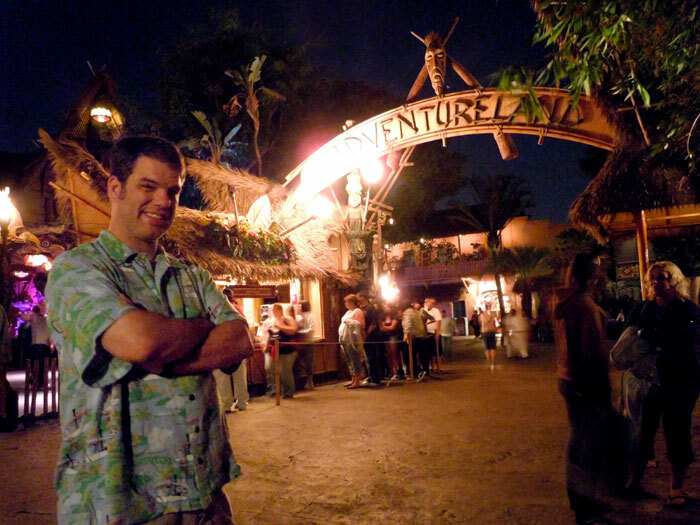 What is the lesson of Tangled's success?